Cecil B. DeMille's trademark films were Biblical and historical dramas, usually told in sweeping, big-budget scale, emblematic of overwrought Hollywood hugeness. Derided then and now as corn, his movies were almost invariably box office gold, including The Ten Commandments with Charlton Heston and his lone Oscar-winner Samson and Delilah with Victor Mature and Hedy Lamarr. In a time before computer-generated imagery, the "cast of thousands" in DeMille films like The Ten Commandments required literally tens of thousands of people, and a master like DeMille issuing the instructions. He made his Broadway debut as an actor in the 1900 melodrama Hearts Are Trumps, and within a few years he was scripting and then directing plays. For his first movie, in 1913, DeMille and Samuel Goldwyn planned to film in Arizona, but after finding the weather too hot and dry for moviemaking they boarded a train and rode to the end of the line in California. There they made Hollywood's first feature film, The Squaw Man, and made Hollywood — after the film's financial and artistic success, California became the preferred location for filming. With another business partner, Jesse L. Lasky, DeMille and Goldwyn founded the Lasky Feature Play Company, now known as Paramount Pictures. DeMille made dozens of early-era films and was a driving force in the evolution of motion picture lighting and editing techniques. His 1926 biopic of Jesus Christ, The King of Kings, played in some theaters for more than a year and was the biggest blockbuster of the silent era. When sound came, DeMille adapted, and he remained at or near the top of the Hollywood A-list for the first two decades of the sound era. He was not a shy man, and often appeared on screen in trailers for his films or in the films themselves, to introduce the drama that followed. Much of his personal fame came from his long stint as producer and host of Lux Radio Theater, a radio anthology that frequently featured big-name Hollywood stars, and was wildly popular through the 1930s and '40s, drawing up to 40,000,000 listeners for every week's episode. He quit the show in 1946 in typically dramatic fashion, when he refused to pay a mandatory $12 assessment to his union, the American Federation of Radio Artists, to fight California's Proposition 12, a union-busting initiative on the ballot. Famously dictatorial on movie and radio sets, he frequently ended discussions with his edict, "You are here to please me. Nothing else on earth matters". He played himself, of course, in Billy Wilder's classic Sunset Blvd., and his cameo was filmed on the set of DeMille's then-current project, Samson and Delilah. As both a director and producer, DeMille provided early-career opportunities or "discovered" such moviemakers as Henry Hathaway, Howard Hawks, and Mervyn LeRoy, and stars including Bebe Daniels, Gloria Swanson, and Robert Preston. He was a co-founder of both the Academy of Motion Picture Arts and Sciences and the Screen Directors Guild (now the Directors Guild of America). Akira Kurosawa said that it was DeMille's Fool's Paradise (a 1921 silent) that first inspired him to make movies, and evangelist Billy Graham said he was "profoundly influenced" as a child by The King of Kings. Remarkably, more than fifty years after it was made, The Ten Commandments remains a reliable ratings-winner on network television in America, aired annually during the Christian Holy Week of Easter. His parents were both professional playwrights and strict fundamentalist Christians, and daily Bible readings were a part of his childhood. After his father's death his mother opened the Henry C. DeMille School for Girls in their family home. His brother, William de Mille, was also a film director of some renown, and briefly served as president of Academy of Motion Picture Arts and Sciences. William de Mille married the daughter of economist Henry George, making Cecil B DeMille the uncle of their daughter, dancer Agnes de Mille. Richard DeMille, the biological son of William de Mille and actress Lorna Moon and adopted son of Cecil DeMille, was a well-known Hollywood journalist and writer, one of the first converts to L. Ron Hubbard's Scientology in 1950, and one of the first to disassociate himself from the cult, three years later. Born to a Jewish mother, and DeMille frequently acknowledged his Jewish heritage. But see Scott Eyman, Empire of Dreams: The Epic Life of Cecil B. DeMille (2010), page 250, quoting son Richard: "He [Cecil] strove to put God's word on the screen and believed that God approved of his efforts... he believed that Christ had come to save sinners, and he hoped that his sins would be forgiven." 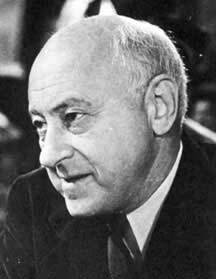 Eyman later writes that DeMille "committed large portions of the Bible to memory" but "seldom attended church."